All along the consensus of opinion has been that those of us that were around in the late seventies and early eighties now of course in our fifties and sixties would be very keen to see a centre documenting that time. Of course I then had a great response at the Fruitmatket pop-up from those who remember the sixties a time that had largely been forgotten bar the occasional Beatles story. Certainly social media confirmed the love felt not just for the bands but also the clubs, venues and even shops and pubs of the time. Other areas of the arts have their wealthy patrons and supporters and it didn’t seem unreasonable to expect that from this pool of people with fond memories some would fill these roles. Make no mistake the reason this has not been done before is because those who had similar ideas could not get funding and it is only because I have sunk a large amount of time and money into a project I believed was important that we are so close to achieving something. In virtually every area the response to the idea has been fantastic and people have been so helpful. 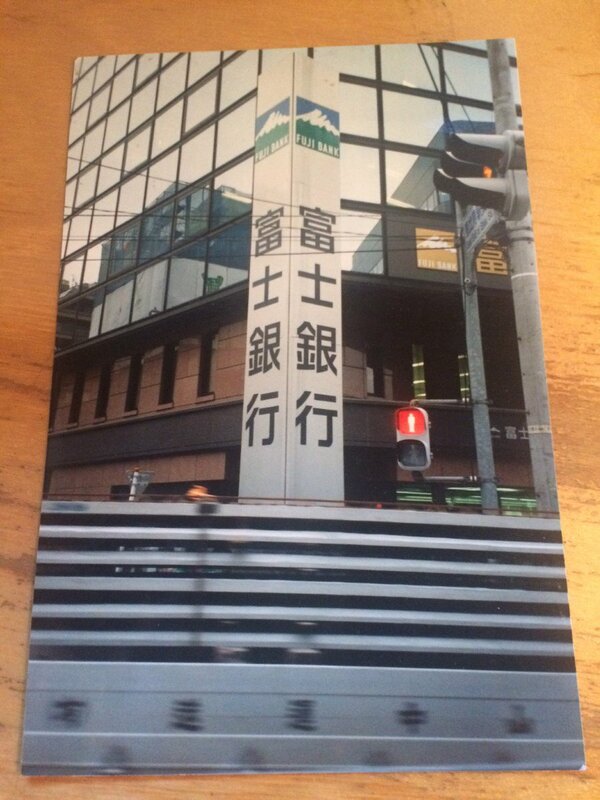 The one difficulty has been financial support. If things had moved more quickly I might just have managed myself but again by the standards set by others the three years this has taken is quick. One senior arts figure tried to console me by saying what I had done in three years would normally take seven. I didn’t feel better ! I reckon I have about three years worth of things to look into and of course what this means is that the exhibition centre will be ever changing. I certainly hope that anybody visiting once a year will see enough different things every time to be happy. What it also means is that there is no reason there can’t be exhibitions elsewhere possibly in other Edinburgh venues but also in other cities. I understand not everybody was impressed with Midge Ure’s coat at the launch of the museum’s exhibition this year but there is much more to be revealed there I’m sure. In the big picture it is a temporary showcase but it should certainly help with getting a permanent centre with a wider remit off the ground. Time is now against me and what that means is that I will have to go with what plans I have whether finalised or not very soon which is a risk. It is hard enough getting things done but I did think with the museum exhibition coming up and the need to have everything in place three months earlier it would produce results but it hasn’t. This next week is a huge week and it is possible everything will just fall into place. As always I would like to thank everybody who has given their time and effort and hopefully the wealthy patrons will follow ! Don’t worry I didn’t need 11 copies of The Only Ones “Another Girl, Another Planet” and I still have a UK, US and promo copy ! Many other things I had on CD and vinyl so didn’t need both and then other stuff I just felt able to part with. A huge amount has been achieved and there was a successful pop-up at the Fruitmarket Gallery in Edinburgh in June for three days that saw over 1,500 people visit. We had original copies of sixties beat band The Athenians 7″, backstage passes from Scars gigs, handwritten postcards from Postcard Records supremo Alan Horne and the original paintings for the Arab Strap album “Philophobia” along with more recent items and many other things not seen for decades or in some cases never seen before. 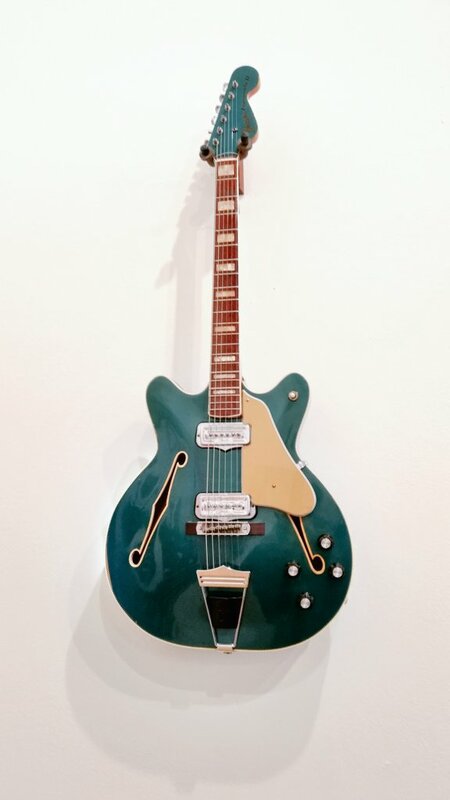 Hanging on the wall as you entered was the guitar Paul Haig of Josef K bought from Edwyn Collins when he was in Orange Juice. I have been aware since April 2016 that the National Museum of Scotland would be holding an exhibition in 2017 from June to November called Rip It up – The Story of Scottish Pop and indeed such was the quality of the pop-up that some of the exhibits will be loaned temporarily to the museum’s exhibition. The centre now has the backing of Edinburgh Council and has attracted the interest of several potential sponsors both from Scotland and further afield. Covering six decades of music the exhibition will also include labels, artwork, posters, badges, venues, clubs, photographs, memorabilia and even a few shops and the odd pub ! Never intended to just look back at the fantastic history of Scottish pop music the centre will also actively support current artists and recover much of its overheads from shop sales of related music and merchandise. Depending on the space we choose there will be at least a performance space and possibly a cafe/bar/venue. In order to be up and running in time for May so the centre is ready to complement the museum exhibition I need to dedicate the next two months to getting the project over the line. A £15K research grant fell through a while ago and while £5K will keep things going that higher figure would make a huge difference to what can be done in the time. For future funding any support shown now will be immensely useful and I’m already incredibly grateful to all those who have helped reach this point where there is no doubt of the quality of the exhibition or the benefits there will be to both musicians old and new and as an attraction for Edinburgh. There is already a range of exclusive vinyl releases and merchandise planned to coincide with the centre opening as well as gigs throughout the year and some surprises I can’t reveal just yet. We intend to work closely with the Queen’s Hall as well as smaller and indeed larger venues. 2018 will be a fantastic year for Scottish music and there are other partners I’m in talks with that will give Scottish music and in particular new music a very high profile indeed. Expect some exciting updates ! All the hard work has been done making sure there will be enough interesting exhibits though there are still many more people I need to contact to secure even more for the future. It is intended that there will be new things to see on a regular basis. A simple donation can be made or can be in return for a voucher that wil be able to be exchanged against any of the releases, memorabilia or gigs. While income is needed even helping with cash flow until the centre is up and running will be a great help. Once everything is in place a not-for-profit organisation with a board will be set up to oversee the centre. This will then make it eligible for grants and other types of support in the future. All vouchers will be my personal responsibility. Knowing how many fans a band had among your customers was key to success in the eighties and nineties when coming up with a base figure to order for smaller indie bands. However for most releases you then added a figure on top which was often far greater than the fan base figure allowing for what you thought other customers would buy. Another factor would be how good the album was which may seem a daft thing to say but playing a good album at lunchtime or after 4pm when workers and students were finishing for the day could lead to many sales as we proved all those years ago with the Whipping Boy “Heartworm” album. It is still considered a classic today but didn’t sell as well as expected. Sony asked me to meet the band and their rep to explain why we had sold hundreds when elsewhere sales were slow. The answer was quite simply that we knew it would appeal to our customers and we could sell four or five a day just by playing it at the right time to people who had never heard of the band. Shops have different types of customers and fans were just one type but as more people shopped online they became a bigger part of the equation and at that very time labels and artists themselves decided to target those fans directly. The online shoppers who knew they wanted, the new Bjork album for instance, would if they had gone to a shop often have seen other things they wanted or may well have asked what else was new. Buying online, normally from Amazon, meant the album arrived through their letterbox on the Monday but all those potential other album sales were lost. You also have to remember this was at the height of Amazon not paying VAT sold a £10 Bjork CD was £8 from Amazon. Buying online is fine for buying what you know you want but what became clear was that it was costing lesser known band sales. 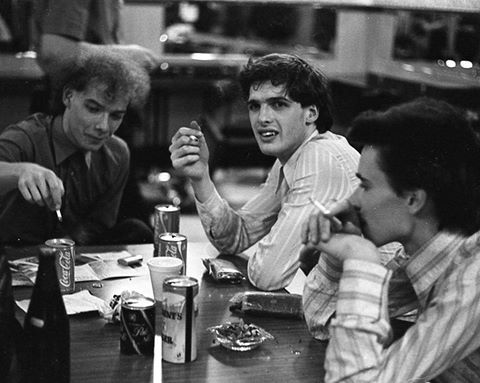 When bigger local bands started selling directly, often to fans who had first discovered their music in a shop, then the writing really was on the wall for newer, smaller artists. There were many people we just saw a few times a year buying the big local releases they couldn’t get in HMV or FOPP but they very rarely just bought just one album and often bought many other local releases asking for recommendations since they were last in. Once we started to lose those customers to direct sales the other bands lost out too. Eventually I insisted that to stock a release I needed to have it on sale at the same time as the band for the same price and have the same thing. Quite a few took exception to this claiming it was their album to do with as they wished. This of course is true but it was my job to give customers best value and making them wait a week or so to buy an album with no extras for a higher price was clearly daft. 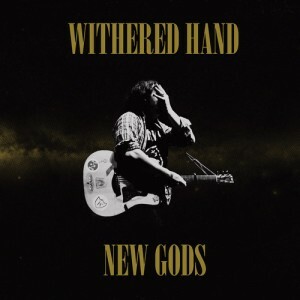 Given a chance we could still do a great job as we showed with the Withered Hand album “New Gods”. We sold 120 of the gold vinyl which was limited to 500 and 150 CDs. Most of those customers, even the online ones, also bought something else. If you look at our online shop you will see a section with “customers also bought” and it will have lots of other similar releases when often those online shops that do use this feature have very little. What this has brought us back to again is the customer. My policy on stocking was completely based around the customer, not making demands from the bands or worrying about lost sales. Don’t get me wrong it was clear that if shops lost too many sales then the feasibilty of supporting local bands became questionable but the key thing was happy customers and I simply could not match what they could get directly. Of course when I was selling an album to a visitor asking for recommendations none of the above mattered but that is far more time consuming. We went from selling to fans and then maybe half again on recommendation to selling most on recommendation. At the same time a small local album that we might have sold an extra ten or twenty of on the back of bigger artists started to suffer badly too. As I say online shop customers would make up for this a little as our reputation for recommending good albums moved to social media. Probably the last album to benefit that way was Laurie Cameron’s album “The Girl Who Cried For The Boy Who Cried Wolf”. 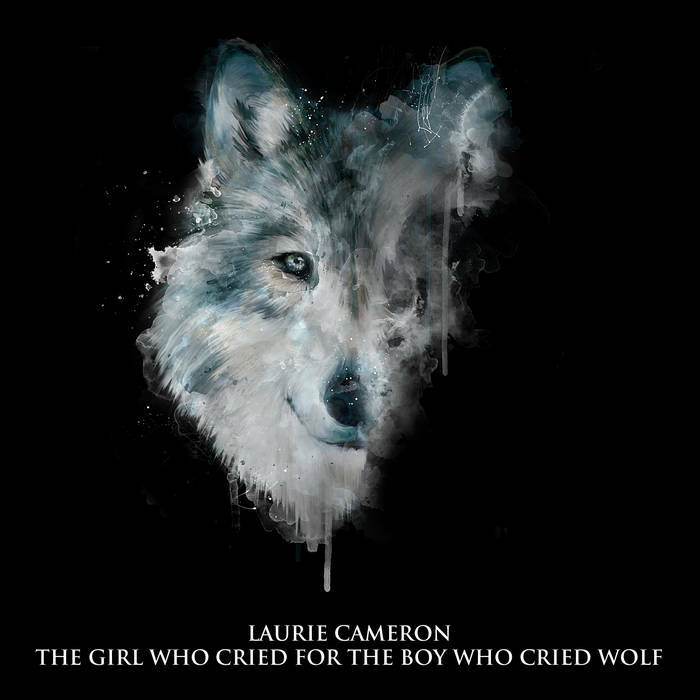 Great title, great artwork and a great album ! Now Avalanche’s influence has never been greater but folk will simply go and stream any album we support. Which brings us up to where we are today. I had a large number of lovely messages from people when they bought things online this Christmas. Mostly they were people who had been in Edinburgh as students and very much enjoyed shopping at Avalanche and discovering bands they still loved but had since moved away. Many clearly now kept informed on social media and wished me luck with the new plans. They may be big now but many people discovered bands like Belle and Sebastian and Mogwai through Avalanche and still remember first hearing them in the shop. Others recollected long chats sometimes just as visitors and having come away with a bag full of albums they still played today. To be honest as a shop I just don’t think that sort of thing is possible any more. 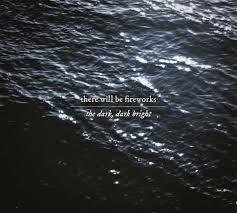 I remember well somebody buying the There Will Be Fireworks albums online when they came back in stock. With his order was a note saying I probably wouldn’t remember but I had been playing the EP that was in stock in St Mary’s Street and he had asked what it was and bought it. He had waited ever since to see the albums on sale and thanked me for introducing him to the band. He was based in Germany and I did remember. If I still had the shop I don’t believe any of this would still be possible except on rare occasions. Students would hang around Avalanche in West Nicolson Street when we opened at 9.30am waiting for a 10am lecture whereas now they would sit drinking coffee and looking at their phone. Many customers became friends and I still see a few people from those days in the eighties and early nineties today. I even went to the Potterrow reunion ! On the other hand while there are a few people in bands I hope I can call friends my interest is simply in promoting good music. Meanwhile to a large extent now the Scottish music industry is just friends helping each other out. While this is not always a bad thing when it becomes the norm and at the expense of other bands progressing it is not a healthy situation. That this is actually encouraged officially under the title of “networking” says a lot about the state things are in. I am hoping that if I can get the new exhibition centre off the ground then the shop element of it can bring back some of that experience that people had discovering new Scottish bands. There was a really nice vibe at the Fruitmarket exhibition with lots of old faces popping in to say hello and even more people I’d never met particularly wanting to chat about the sixties which have largely been forgotten but were a great time for Scottish bands. I learnt a lot ! Most people only buy two or three albums a year believe it or not and those albums are normally by Ed Sheeran, Adele and a handful of others. Keen fans buy directly and casual fans mainly buy from HMV and Amazon and now quite scarily supermarkets. Direct to fan sales are just that and can not replicate larger more varied customer sales in a shop. Not even labels and record companies with new artists to promote look at the bigger picture and consider that their strategy with their established bands is holding back newer bands. So this blog isn’t a futile attempt to change anything, it is just to explain what I hope will be the new centre’s philosophy of looking beyond fans and taking new and older Scottish music to new people and giving all musicians a chance. In recent conversations with people connected in one way or another with the music industry it has become clear that there are now many people, and not necessarily just young folk, who don’t know how the music industry operated for decades and more importantly how we reached the point we are at now. By no means were things perfect in the old days but at least the path was clear if not easy. Bands would start off just doing local gigs trying to build up a following. The aim was to get the attention of a label who would sign the band. All music had to be recorded in a studio which wasn’t cheap so having a label who would pay the costs was essential for many. At the same time all indie labels had distribution which meant that if a band could get some press or national radio play then they could get their release to shops further afield. 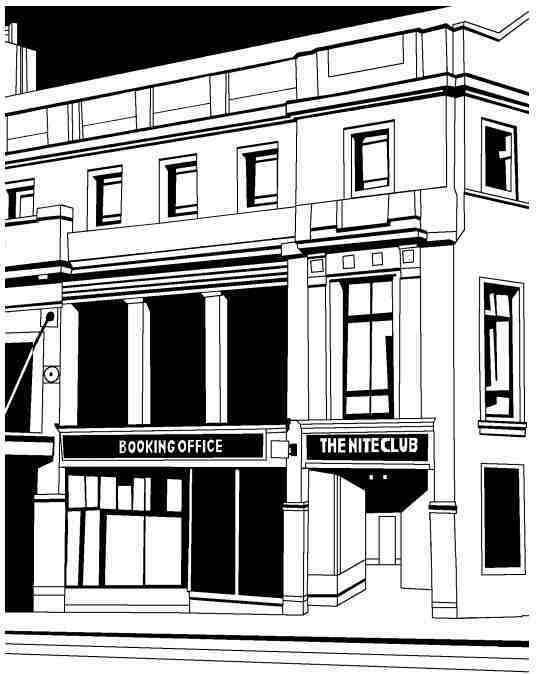 This is of course where John Peel played such a big part. If your record was any good at all and John played it the next day folk would be in the shops asking for it and shops would be on the phone asking distributors for stock. Exporters would take any release from an established indie label and again if there was any media exposure at all it wasn’t too hard to start selling copies in Europe and even America. Operating in a completely different world were the major record companies and a lot of the time indie labels were a stepping stone to signing to a major record company. 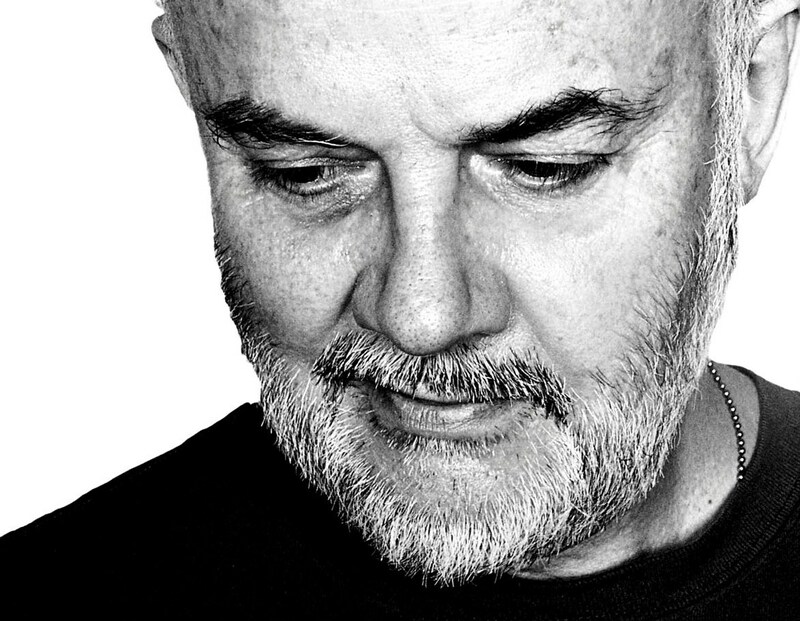 Radio play wasn’t easy but there was always the hope for a band that John Peel would play their record. Press and reviews wasn’t easy either. Everybody would send their records to the NME, Sounds and Melody Maker with little chance of success but should they get a review it would make a big difference and a record of the week would often lead to a record selling out. Just to release a single was a big thing. It was possible for a band to do it all themselves and get the release into local shops but certainly not easy. Now over time things changed with big indie labels and proper indie distribution but the basics were still there until the internet arrived. In theory this seemed to be just what bands needed. By now recording music was not such an issue and all a band had to do was make it available online and the world was their oyster. Lots of labels sprang up run by people who had other full time jobs and little by way of connections in the established music industry and no access to distribution. In theory none of this mattered as these labels would simply make releases available online both digitally and physically and their supporters would write about them on their blogs and play them on their internet radio stations. The orders would roll in ! Of course what has happened is that anybody can claim to have released a single by making a song available online and publicise it on social media with a suitable quote from their friend who has a blog but that doesn’t mean that anybody will even see it never mind care. Essentially the reality is that not only is it more difficult to get people to hear new music now but should they hear it, and should they like it, then it has never been harder to get them to pay for that music. The problem is this seems to be all the future holds with established bands operating in a different world relying on a fan base created under the old system. Everything is now focused on direct to fan sales no matter how established an artist is and truth be told that isn’t working out that well for many. 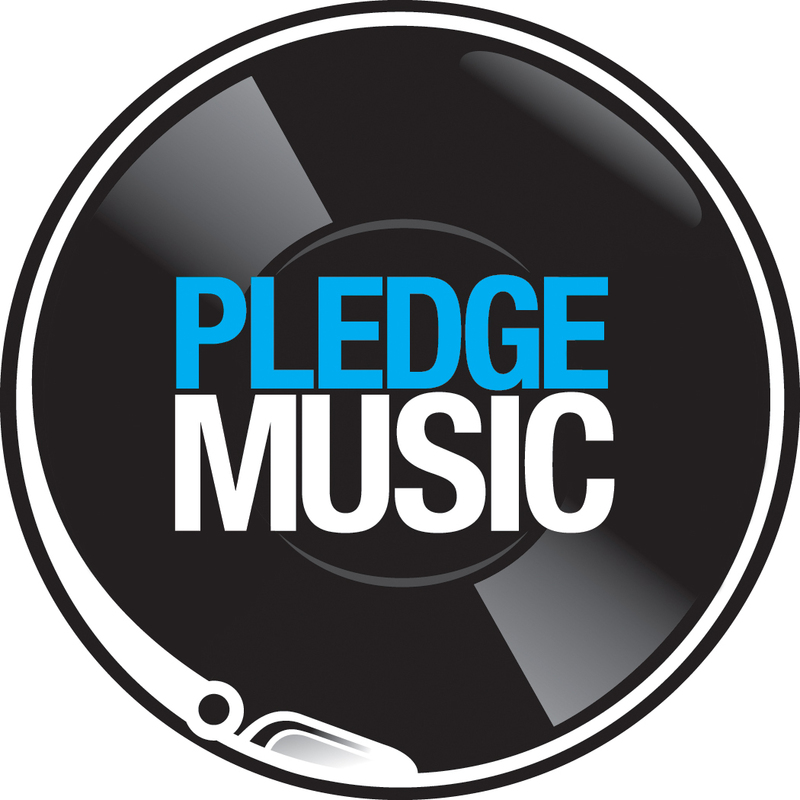 PledgeMusic lead the way in targeting superfans but what has emerged is a culture of trying to make more and more money from a dwindling number of fans. As with when CDs first came on the scene the vinyl revival has been a godsend to record companies and established bands as they sell people the music they already own again. When they sell fans new music they do their best to sell the t-shirt and the gig ticket as well and then charging extra to sign the vinyl or CD. They maybe even charge a ridiculous amount for a signed “white label”. If there is to be a way forward it has to be based on things as they are. Bands hold all the cards but generally don’t know how to play them and the people they are trying to reach mostly don’t see any need to pay for music any more. What I have recently realised is that the big difference between shops selling music, on the high street or online, and bands and labels selling music is that that while the latter sell to fans, shops sell to customers and therein lies the difference and possibly the future. In the late eighties before the advent of the Premier League an 80s indie band might be described as a good “third division” band. This was based far more on sales than on how good the band was and many of my favourite bands of the time come from that lineage. First division bands would sell 20K+ and that would be a level the majors could work from. Second division bands hovered around the 10K mark and were of interest to the majors who would consider whether with their backing sales would improve. Third division bands would sell a few thousand, sell out small to medium sized venues and were often just one hit away from promotion. Nobody proved this better than Pulp. Of course things are much different now and if you sell 10k records you would be unlucky not to be top 10, possibly top 3 and on rare occasions you would have a number one album ! The other thing that has changed is that before the internet bands built up a following locally and then gradually expanded their sphere of influence. Now 500 loyal fans can be spread all over the world which from a gig viewpoint is no use at all. For a while issues wee mitigated by how cheaply CDs could be made and bands having access to recording their albums for free or at least for relatively little. However now we are back in the world of vinyl which for all its advantages is not a cheap format to produce. 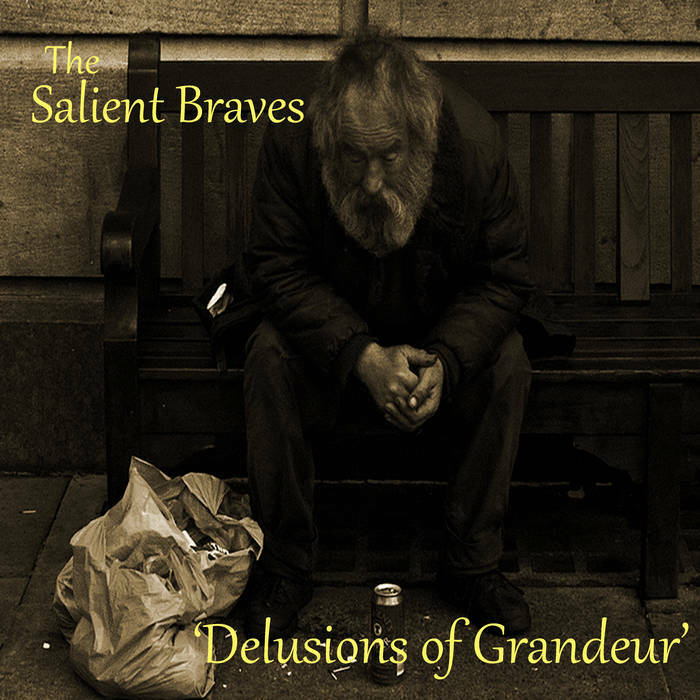 This brings me to The Salient Braves “Barnsley’s best kept secret” and their album “Delusions of Grandeur” which was brought to my attention on twitter. They describe the album as 80s influenced indie and they are not wrong. Fans of the Scottish indie bands of the time the songs don’t rely on generic jangly guitars but instead are more lyric focused and sometimes veer into Half Man Half Biscuit territory. So far so good. Their aim is a modest one to sell 200 copies of their album on vinyl and given what I’ve already said that is a reasonable goal. I see they say they can’t gig a lot and that is a problem. If you can sell just five copies every gig after the initial push then sales figures do start to mount. Radio play and reviews I wouldn’t worry so much about. Contrary to what they think if somebody of influence says an album is great that won’t matter unless the album really is outstanding as people will at best go away and listen, quite like it, maybe even go back and listen again but not consider it worthy of their cash. Personally I can still make a big difference to an album if I say it is outstanding and worth people’s attention but that is because I do so very little. If I was saying every week how good bands were or even worse being paid to say that then nobody would take any notice. However even I now struggle to generate sales as it becomes clear that there has to be a personal connection with the artists that make folk want to physically own something by them otherwise they will simply just stream their music. What I can do with the extensive social media presence Avalanche now has and given its high rate of engagement is bring music to people’s attention knowing it will appeal to some. Of those people a few will buy and even more will be aware and listen out for the band in the future. There has been movement on all fronts and while there are several options for the centre they are all clear in my mind now. Several people have come forward to help try and get us over the line which has been an immense help and added to those stalwarts who have been with us all along it means that one way or another I’ll have an announcement immediately after New Year. Generating income and a building are still key. I’d hoped to have far more in place to help with income before Christmas and even nailing down building options is proving problematic but if we are to be ready in time to complement the museum’s Rip It up exhibition starting in June then we will have to go with what we have in January. I would love to say more but can’t. Suffice to say if I can hit 75% of our target it will be amazing. One good thing is that nobody has any doubts about the quality of the exhibition that will be produced or our ability to deliver and promote it. In the meantime do please consider buying from our Discogs site or online shop. Any income at the moment helps ! I was told very early on that life would be a lot easier if I had a location and money. Obvious I know but that really is how it works even for the largest projects. The new concert hall has location and financial backing so it gets even more money. I don’t think anybody doubts the quality of the exhibition that would be produced nor all the amazing releases and merchandise that would go with it but it was always said that especially once people saw what could be, and the Fruitmarket Gallery pop-up was a huge success, sponsors and financial backers would come forward. If nothing else people of a certain age who had made their money and loved their music would see an opportunity to have a permanent legacy. I would love to have a location by now but the centre does have the backing of Edinburgh’s councillors and council officials at the highest level and they are committed to providing a building so I have to be content with that. If I can get sponsorship from businesses who don’t normally support the arts I can have that doubled up to £40K which would become £80K. There can be several sponsors so no need for one company to come up with the whole amount. From classical music to the visual arts there are patrons who finance things like this but despite amazing publicity nobody has come forward which does confirm what I was told which was that you have to very actively chase people for money, something I’m not particularly happy with. I intended to put money in myself but over three years have used up everything I had and much more just to reach this point. 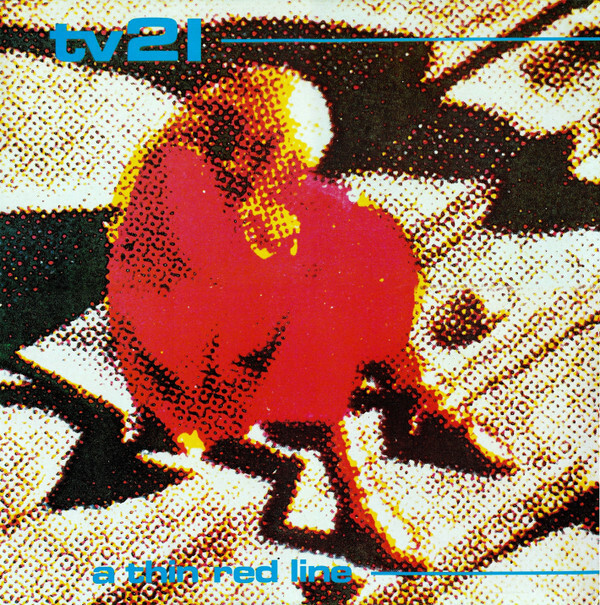 The situation is now beyond critical though at least some exclusives to sell will start filtering in soon starting hopefully with the TV21 double vinyl. In the absence of any big sponsors it will take the support of the very bands and labels to be featured to make the centre possible along with of course their fans. Several bands have already offered support as have labels such as Jeepster, Domino, Cherry Red and Chemikal Underground. There is no doubt people will support any fund raising but you have to give them something to buy or a gig to go to. With regard to the latter, again venues are very supportive and I even have use of places like the Queen’s Hall and Usher Hall. So far I’ve only approached those who have worked with Avalanche closely for many years but now it is essential to involve as many bands, labels and people as possible. Over the course of the week I will outline all the avenues we will go down to try to make sure the centre is properly financed in time and then over the course of the next year. Hopefully one way or another everybody who wants to get involved will find a way to help. As always I would like to thank those who have helped get to where we are already. It is a marvelous achievement and has only been possible by the kindness of others. Late January 1991 and Avalanche receives a call from Sounds the music paper. Andrew Tully Avalanche’s manager and front man, comedian and raconteur of Edinburgh’s second best jangly guitar band Jesse Garon and the Desperadoes answers. They would like to know what we think of the new pop sensations the Manic Street Preachers. Andrew shouts over to me and busy with customers (this was the early 90s remember) I gave the simple reply “a little too fond of The Clash”. I’d just seen them on an Oxford Road Show repeat that I’d turned over to while trying to stay awake during the recent Super Bowl and that seemed a fair assessment. Clearly disappointed they asked if Andrew had anything more humorous or controversial to add. “Well apart from them being Welsh and wearing too much make-up, not really” Andrew replied jokingly. Would we stock the new single they asked. Probably not we said. Next issue of the paper went with Avalanche has banned the Manic Street Preachers for being Welsh and wearing make-up. Manics fans started coming in hassling us and we would politely explain it had just been a joke but they were not to be placated. There was even a cartoon about the affair with the punchline revealing Mike Peters from Welsh band The Alarm but as it was about to go to press Sounds folded. The curse of the Manics had begun ! Anyway we forgot about it but come May the Manics embarked on their ironically titled You Love Us tour with Edinburgh the first stop. Not having yet reached their stadium rock status they were playing at The Venue and the next morning Robert, Avalanche’s Sub Pop expert and joiner extraordinaire opened up the shop. To quote Robert soon after “a wee guy came in, put a CD on the counter, said this is for you and ran out”. 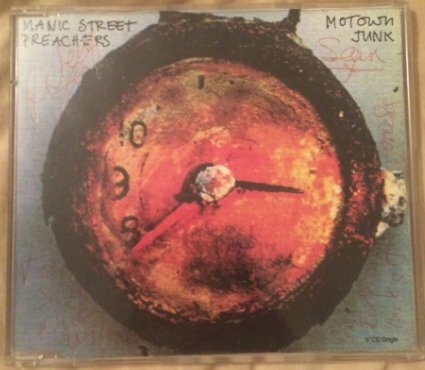 Said CD was Motown Junk and each band member had signed it with a message. They were not wishing us well ! So began a rather one-sided feud with the Manics still mentioning Avalanche from time to time in interviews, commenting at gigs that we had closed down when we hadn’t and generally not letting it go. I believe we still got a mention only a few years ago. By the mid-nineties the shop was split with Andrew not only enjoying the Manics brand of corporate stadium rock but even going to their Glasgow gig as a guest of Sony and shaking James’ hand. And so all good things must end and to help raise funds for the new Scottish Pop Music Exhibition Centre I’m selling the famous signed CD. It seems only fair that I’l donate some of the money to a charity of the Manics choosing. Let us see what we are offered. Unsigned the CD has sold for £50 to £90 so a CD signed by all four members will be worth considerably more and with the story attached ……………… I’ll see what offers are received and if there is nothing suitable I’ll put it on Discogs. All offers to kevinavalanche@hotmail.com. Would I buy them a pint if I met them now. Of course I would !